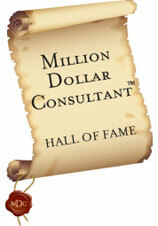 This unique program is available by exclusive arrangement with Million Dollar Consultant Alan Weiss. 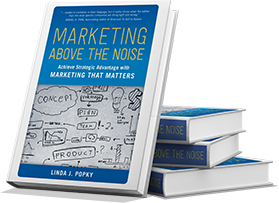 Leverage2Market® Associates’ Linda Popky is one of fewer than two dozen people in the world certified through Alan Weiss’s Mentor MasterySM Program and approved to mentor at this level. 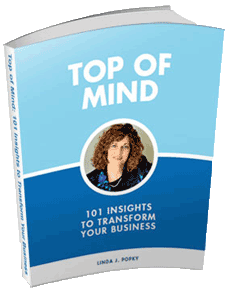 Over the last 15 years, Alan Weiss has created the most comprehensive and dramatic mentoring community in the world. The program has over 1,000 “graduates,” and scores of “post-graduates” (those who have signed up for an additional term). A conservative estimate is that mentor program graduates have generated over $660 million dollars in incremental revenue as a result of their participation in the program. Learn about the advantages of Alan Weiss’s Global Roster Mentor Program. We also offer marketing assessment and in-depth coaching programs. Learn more. Linda has been mentored by and personally trained with Alan over a period of more than 4 years, and she is a member of the Million Dollar Consulting® Hall of Fame. Linda is also past president of Women in Consulting, a San Francisco Bay Area collaborative organization of over 400 consulting professionals in more than 40 specialties, and she was honored last year as one of Silicon Valley’s Top Women of Influence. Through this program, we are able to offer you access to Linda’s award-winning marketing and consulting skills, as well as entry to the elite global community of consultants who are graduates of this program. Go to Alan’s website, and pay through his shopping cart. In the box labeled “Comments/Special Delivery Instructions,” put I want to work with Linda Popky. Alan and I will respond quickly and we’ll begin working together immediately afterward. The mentor program provides six months of unlimited access to Linda by e-mail, phone, fax, regular mail – or in person, if convenient for both of us. 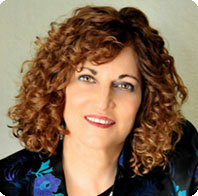 We help people strategically (how to set fees, how to gain visibility, how to position and market your practice, etc. ), and tactically (what to say at the meeting tomorrow, critiquing proposals, overcoming objections, etc.). The fee is $3,500, which distinguishes those who are serious about their business, and is easily recouped through increased business and/or higher fees. Admission is limited. If there are no openings, there is a “first come, first served” waiting list. The Mentor Program is customized to meet your needs. We start by looking at your current situation, expectations, and fundamental value propositions. Then we’ll establish specific mentoring goals. Choose to concentrate on building and developing a consulting practice or small business in general. Or leverage Linda’s specific expertise to focus on marketing-related issues and opportunities, or on starting and growing women-owned consulting practices and businesses. The frequency and style of how we work is totally up to you. You may choose to call Linda on a regular basis, correspond via email, set up in-person meetings – or use some combination of these. We aim to return all phone calls within 90 minutes, and all written correspondence within 24 hours. The fee is required to begin the process or to claim a place on the waiting list. The fee may be paid in installments, but the mentoring process doesn’t begin until payment is complete. The fee is non-refundable, no exceptions. However, you may call a “freeze” at any point, for up to two months at a time, at which time we stop the calendar until you’re ready to begin again. While working with you personally and intimately, we will also provide entry into Alan’s global mentor community, where you can access online discussions 24/7; download text, audio, and video resources; receive newsletters; join mastermind groups; participate in international mentor “summits”; obtain discounts on development experiences; and much more. With this program you’ll have the ability to work with Linda in a customized, personalized relationship, while gaining access to a vibrant global community that will contribute rapidly and substantially to your personal and professional growth. This personal/global combination is a unique mentoring experience which is only available through Leverage2Market Associates. Read more about the wide array of professional and personal development, the Mentor Hall of Fame, the mentor bibliography, and much more that Linda can provide on a completely complimentary basis to those who join her mentor program.